Straight out of Dallas, TX, Sara, owner and creator of Cupcake Polish announces the newest trio that will give you all the southwest summertime feels! The Cacti trio features three glorious polishes that are packed with shimmer and intrigue. These polishes showcase a variety of special effects which makes it even more special! Desert Bloom is a gorgeous thermal polish that transitions between 2 brilliant, summery shades, Prickly Pear is the second ever solar nail polish and Succulent, is a magical teal jelly polish. Whether you are cooling off by the AC or soaking up the summer sun, these babies are magic in a bottle and the true definition of beauty! In addition to these three limited edition polishes, Cupcake Polish has teamed up with Ginger Fizz Boutique to create a matching wax melt of the month to go along with this trio! This month’s wax melt is an agave nectar scent that is amazing! Please note, these polishes and the wax melt for this month are VERY limited in quantities! All polishes are single-batch, limited editions that have no recipe and will not be re-released after they sell out! I love starting a blog with a song and I know most of you sung or hummed along in your head…lol! Memorial Day may be over but there are so many holidays coming up that are screaming “Red and Blue”; Independence Day, Labor Day, Veteran’s Day and plain ole’ “Just Because Day’. As we remember those past and present that serve(d) and fought for our country and its freedoms, let us do so with a gorgeous mani! We all know and love the song ‘Let Freedom Ring’, well it’s time to show our patriotic support and let our nails do the talking! Different Dimensions is releasing the Let Freedom Ring Duo just in time for Independence Day! And if 2 polishes weren’t enough, this duo also includes a cuticle oil pen for 1 very low shipped price. The May AND June POTM are releasing too and they are too good to be missed. Cha-ga! Cha-ga! Toot-Toot! Hey Sugas! We are literally down to the wire with RTPC! Aren’t you excited?! Ending RTPC only means that PC is right around the corner! As week 10 pulls out of the station with Dollish Polish and Bee’s Knees Lacquer, a new lineup of polish makers is eagerly awaiting arrival. Week 11 features Carrie from Contrary Polish and Natalie from Noodle Nail Polish! I had the pleasure of meeting both these lovelies at Con last year and let me just say, a good time was had by all. I am counting down the days of reuniting and buying polish. For those that are unable to make it, know that you are with us in spirit and you CAN get in on the action with their RTPC LEs. And for those that plan to attend Con, don’t wait to pick these up, grab them NOW…. well on Sunday, you know what I mean. 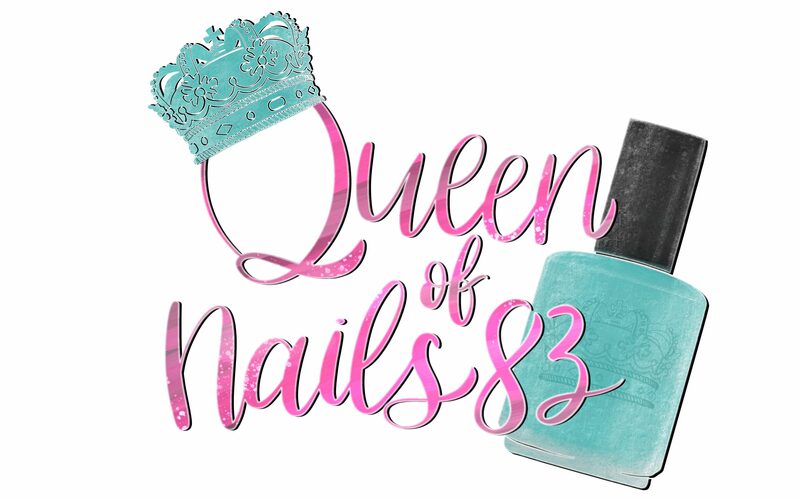 And lastly, don’t forget to use my unique blogger code, QUEENOFNAILS (weekly shipping) or QUEENOFNAILSHOLD (hold shipping), at checkout to receive a free gift with purchase!! Hey Sugas! It’s Friday Eve and today, in MD, we have SUN with an expected high of 85!!! I’m so happy! It’s not quite time to hit the beach for the holiday weekend, because they are calling for rain Saturday-Monday, but I’ll celebrate the small wins! On a personal note, I am so tired, honey! These kids got me runnin’ ragged. Monday was pretty chill but Tuesday…. each of my kids had an event to attend. I was so ready to ‘hire a parent’ because there is only 2 of us and 3 of them. Xavier, my son, had is spring concert band performance. Xylana, my middle one sung with her school chorus as a baseball game and Xadrian, the little one, had a gymnastics banquet. Can you guess who drew the short straw and didn’t have a parent in attendance? Yep, Xavier 😦 We told him we’d made it up by going to his basketball tournament this weekend. So y’all pray for me that a break is comin’. Today I have the 7 neon stamping polishes from Ever After. I believe they debuted at The Indie Shop (TIS) – Anaheim on 5/19 but Miranda is releasing them live in the shop on June 1st! I don’t know much about video games because most of my time as a kids was spent out doors; riding bikes and playing at the playground and if the weather were bad and didn’t allow for outside adventure, I get lost for hours playing with my barbies and cabbage patch kids. My cousins had video games though and I remember the few times they would let me play Sonic the Hedgehog on Sega, Duck Hunt or Super Mario Bros on Nintendo. When I got older, I my parents bought me a Gameboy and I played Tetris for hours on that thing. Polish Pickup offers a fun, interactive experience that allows you to submit theme ideas, vote for your favorite theme, and selectively purchase your favorite polishes every month. 1. SUBMIT – Theme ideas! Examples: flowers, butterflies, a movie, a tv show, a musical group, etc. 2. VOTE – Organizers will choose the top 10 theme submissions and the fan group will vote on their favorite. Please note that you will be voting for a theme that will be released 2 months later. Example: Voting for May’s theme/release will take place in March. 3. SHOP – You can pick which polishes you would like to purchase from the chosen theme. There is no box commitment. Purchase one or purchase them all! Shipping will take approximately 2-3 weeks.Easy! Right?! Good! June PPU is right around the corner and shopping begins June 1st and today I have 8 of the polishes that will be available! My simple response was… #indiesdoitbetter! But that was not the whole reason or the entire truth. So I thought about it and wanted to use my blog to explain my answer to this question. The fact of the matter is, indie polish makers are those women AND men that make nail polish out of hobby/personal interest and to help support their families. They are not polishes thought up my some focus group and mixed in a big factory. Everything from mixing to bottling and shipping is done most times in their home. I love supporting small business and to know that my purchase is helping to make a difference. The makers actually have a passion for the industry and it shows in the polish. They use the best ingredients and most mix by hand in small batches to ensure a quality polish, not quantity. The $8-$13 for a bottle is more than just polish, it’s the relationship I have with the maker. I love the little smiley face on my invoice or when they are on social media they know me simply from an order I placed. It’s the uniqueness of the polish that I am not likely to find in a bottle of the big box guys. You tell me where else can I get a multichrome, magnetic polish or a thermal flakie with shimmer. I’ll wait. So I say all that to say, if you have not tried indie polish, do yourself a favor and be like Nike… #justdoit! You’ll thank me later! And if you don’t know what to get, let me entice your nails with the 5 new polishes from Sassy Sauce Polish. Carrie, owner and maker, is releasing new polishes this Friday. And wouldn’t you know it, there are 3 thermals, 1 magnetic and a duochrome!